I need a print ad created as photo-real. I have the Ford Edge model, and the BMW X5 is available on this site. Please submit estimate and portfolio link. I have a tight comp but this site is not allowing me to post. I will send it after reviewing your work. Thank you. Hello, I am in the planning stages for a short animated film, and I am in need of a couple of props. Specifically, a cookie, a napkin, and a string for Maya. I picture the objects slightly cartoony as opposed to very realistic (see picture). The cookie and the napkin would be attached to the string, and the string would have some movement. I would prefer to hire someone who could both model the objects, and well as prepare it so I would be able to have some control of the string. I have an animatic of what I have planned, so feel free to email me with any questions. If you are interested, please send a link to sample work as well as your rate. Thank you very much!! Paid Project We need a vehicle modeled and textured in 3dsmax of KITT the talking 1982 Pontiac Trans Am from Knight Rider. This model needs to be in the 17,000 � 20,000 polygon range with the possibility of going higher with mesh smooth. Details include opening hood, trunk, and doors. Engine bay, firewall, simple suspension, and exhaust will also need to be modeled but may be very simple and low poly. Limited blue print material exists for this car but I do have a few tech drawings. I will provide the artist with over 100MB of pictures and references and even older 3d models we have had contracted in the past that have not turned out to the quality we need. This car must be as accurate as possible and will be used in a fan film for stunts and also a web based game. Textures must be 2048X2048. Bump Mapping/Normal mapping is a huge plus. Please contact us at msken@unleadedgames.com with a quote for the complete project. Portfolio is a plus! The warsow Warsow Team is looking for talented 3d artists to expand the team. With the latest version (0.4) being in development, we have taken a few steps in redefining and improving the visual identity and style of Warsow. While still playing around with some advanced renderer features like bumpmapping, normalmapping and specularmapping. We are also looking to improve the visual quality of Warsow in other departments. Think of tasks like spicing up of maps with static meshes (UT2k4 style) and the improving of playermodels. All of these decisions on design have to be made very carefully, and at the moment we are lacking in manforce to be able to really experiment and decide on the direction for Warsow\'s style. That\'s why we need some really active, involved, talented and enthusiastic people to expand our team. Next to churning out 3d models, another part of the job would be to help along in making decisions how to emphasize and improve on the visual style of Warsow (think cartoony but cyberpunk, high detailed but simplistic, etc) so the more involved the better. Experience with modelling for games is a plus, but not a condition. If you would know anyone who would be interested, or who would know anyone who could be interested, please direct them to us. Getting the word out is an important part. We cannot and will not offer any monetary re-numeration, but a good line on your CV, a little e-fame and influence to put your stamp on the style of Warsow are on offer, next to the amazingly fun work in an active team of Warsow-heads (hey, it\'s kept me going for 2+ years :P). You can apply by emailing nip@warsow.net and/or ETR@warsow.net. Don\'t forget to include some examples of previous work (either some attached screenshots or a link to your portfolio). I need a realitively well made Halo 3 elite that is modeled better than that of the in-game one. It must be textured and be in the form of a 3ds or obj. 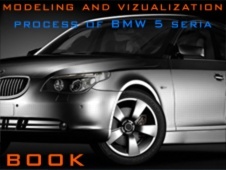 A free service for you and CG artists to procure CG projects.